Since he formed Outbound Yachts just over 10 years ago, Phil Lambert—a former merchant mariner, racing sailor, and wanna-be yacht designer—has demonstrated a deft appreciation of what it takes to successfully blend performance and comfort in an offshore cruising boat. 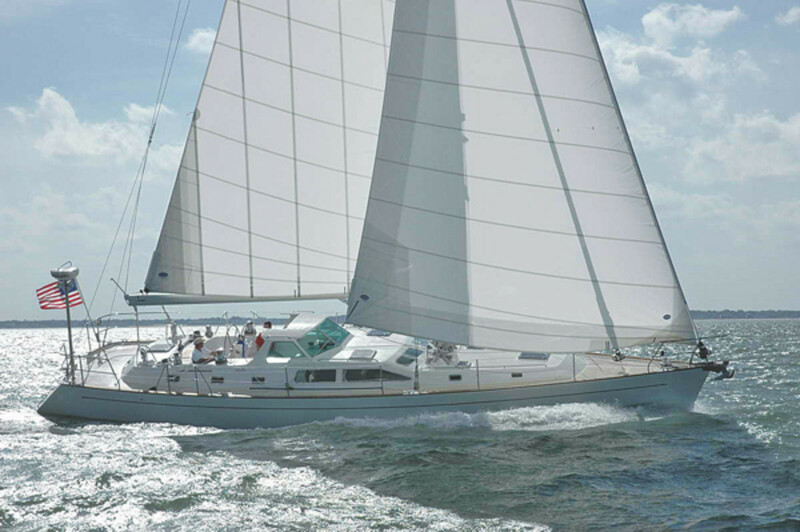 His Outbound 44 and 46 performance cruisers, both designed by the late Carl Shumacher, are much admired among blue water sailing aficionados as fast, capable offshore cruisers. Now Lambert has taken his game up a notch with a 52-foot center cockpit cruiser that strives to combine comfort and performance in a considerably larger yacht. Lambert tapped a young up-and-coming southern California designer, Tim Kernan, to finalize the lines and the detailing on this new craft. It was a savvy choice, as Kernan has a good sense of it takes to make a boat sail fast. After working both with Bob Perry and Morelli & Melvin before striking out on his own, Kernan made a big splash in 2005 with his design for Peligroso, a sleek 68-foot sled that immediately notched up an impressive string of West Coast racing victories. Kernan also has strong cruising roots that date back to his Connecticut childhood. When I stepped aboard the new Outbound 52 last fall I was instantly struck by its seamanlike cockpit. Where most center-cockpit boats have wide, shallow cockpits, the Outbound’s cockpit is both narrow and deep. The helmsman, for example, can easily control the primary winches situated waist-high on the coamings without the need to stoop or crouch. Seated crewmembers meanwhile, can easily stretch their legs across the footwell and, when they are going to windward, can brace themselves while enjoying excellent lower-back support from the 16-inch-high seatbacks. Protecting the forward end of the cockpit is a sleek integral hard dodger with a cut-out rooftop that allows crewmembers to step down the companionway without having to double over. Sightlines over the dodger, whether you’re standing at the helm, or you are just behind the companionway with your head poking through the dodger-roof cutout, are superb. Overall, the coachroof profile is low and unobtrusive. The deep cockpit design translates to a surprisingly short companionway ladder; descend just three 6-inch steps and you’re down inside the pleasant semi-raised saloon. Although it is spacious and wide, it is still easy to navigate in a seaway thanks to sturdy handholds situated along the edge of the saloon table and under the window casings. The standard layout has a master stateroom aft with a generous island double berth and another luxurious stateroom forward with another large island double. Both staterooms have their own en-suite heads with separate shower stalls. 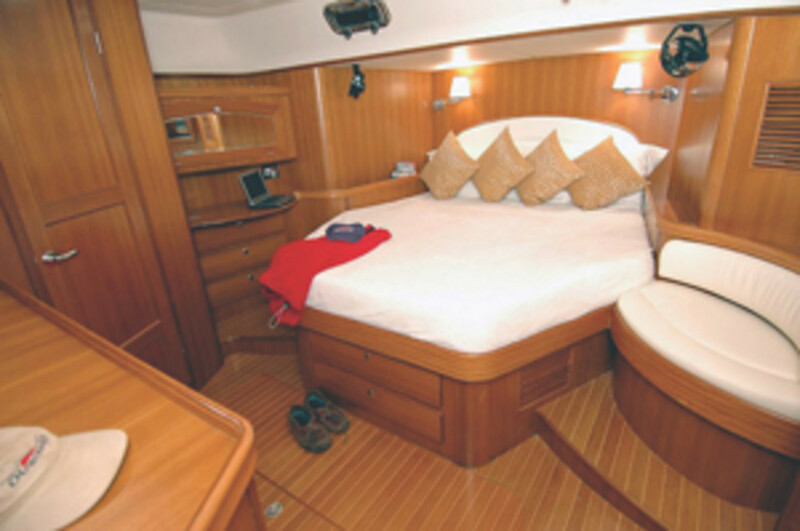 As for sea berths, the main saloon settee to port is long enough for anyone to stretch out on; the starboard settee is a little too short for tall folk. To compensate for this, there is a nifty skipper’s berth to starboard directly behind the navstation in the walk-through passageway leading through the aft shower and head to the aft stateroom. The walk-through passageway to port contains the galley, with a fabulous refrigeration system that has a large separated deep-storage fridge and freezer under the long, spacious countertop, and two extra- small over-the-counter day fridges for food and drinks that are accessed on a regular basis. The hull layup is strong and straightforward. It is solid glass composed of stitched biaxial fabric, mat and woven roving, all laid up in vinylester resin. A network of heavy stringers tied into the engine bed and mast step provides additional support. The deck structure features a vacuum-bagged Divinycel foam core with high-density CoreCel interposed underneath all deck hardware. All hardware is fastened properly with through-bolts and stainless steel backing plates. The hull/deck joint is through-bolted on an inward flange and is sealed with 3M’s tenacious 5200 adhesive. Watertight bulkheads are located fore and aft, and all bulkheads are fully bonded to both the hull and deck. All furniture components are also bonded in place and there are no liners anywhere. This boat, like the two smaller Outbounds, is being built in Xiamen, China, by Han Sheng, and Lambert maintains a permanent residence in Xiamen to closely supervise all construction details. 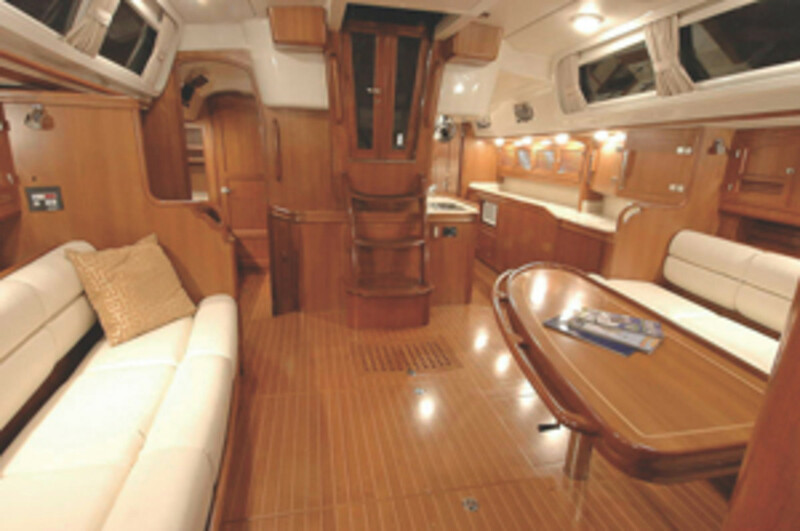 Many options are available including a huge 900-amp AGM battery bank, electric winches, fancy Canteloupi lighting, Hood sails, an electric toilet, ultrasuede cushions and interior customizations of the fine wood joinery. There are two alternate layouts, with midship staterooms and over-and-under bunk berths, although prospective owners are encouraged to think about other features they would like to have. I sailed the Outbound 52 in a late summer blustery 20-knot northwesterly that made it easy to see how the boat handled when it was pressed a bit. Powering into a mild chop on Rhode Island’s Narragansett Bay at about 2,400 rpm, the boat had a steady, smooth motion and made in excess of 7 knots with little noise from the 110-hp Yanmar diesel. 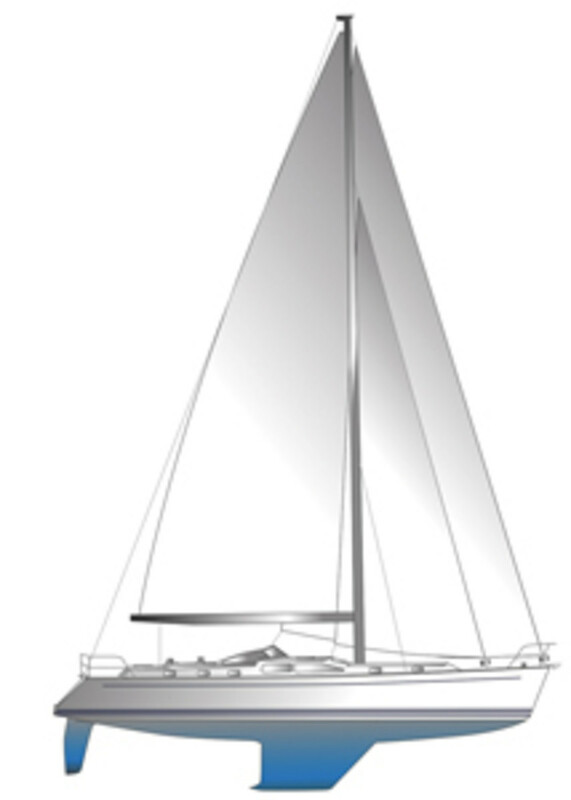 The triple-spreader Selden mast supports an in-mast furling mainsail with full vertical battens; the foretriangle configuration carries a genoa and staysail, both on furlers, although a twin-headstay rig, with a Solent blade jib mounted directly behind a reacher is also an available option. Because the boat’s rig is tall—72 feet above the water— one doesn’t need to set much sail to get it moving. On a close reach with a reefed main and deeply reefed genoa, the boat was happy running at speeds of 8 knots. Sailing close-hauled under reefed main and staysail, we maintained 7 knots with an apparent wind angle of 40 degrees. When finally we headed off and rolled out the genoa again, we quickly shot up to 10 knots. The smooth Lewmar Mamba direct-drive steering system makes the helm extremely light and responsive. Even when we pressed the boat, I could easily control the helm with just one hand. The first time I got clobbered with a super- big gust I chickened out and rounded up. The next time I bore away and even without easing the mainsheet, the boat’s large high-aspect rudder blade had no trouble turning the boat off the wind. The boat feels very solid and stable, thanks to the 14,000-pound lead-ballast bulb keel. And putting the big battery bank and 475 gallons of tankage below the cabin sole not only keeps that weight low in the hull, it also helps free up a lot of useful interior storage space. In short, the Outbound 52 is built for serious offshore work and can be easily handled in those conditions by a knowledgeable couple. The boat’s attractive lines, well thought-out details, and aggressive pricing should make it a strong contender among the well-proportioned and seakindly boats in this size range. Designer: Kernan Yacht Design, 194 Marina Dr., Suite 200A, Long Beach, CA 90803, Tel. 562-493-1808. Builder: Outbound Yachts, 3419 Via Lido #282, Newport Beach, CA 92663, Tel. 949-544-1227.